The recent hyperbolic arrival of the Apple Watch inspires this blog post. We confess to certain prejudice on the subject; after all, we love, collect and sell vintage watches, and can’t help but smile wryly to ourselves as the idea of the Apple Watch being thought of as a revolutionary advance. After all, it does have to pair with an expensive Smartphone and needs a battery to be something other than a paperweight. Under those circumstances, is a watch that doesn’t work still a watch? Philosophical musing aside, our oldest offering – a Gallet Electa trench watch from 1910 – is contentedly ticking away after nearly 100 years. We find it hard to believe that any Apple Watch will be running in 2115 – after all, who will supply the batteries, who the new circuit boards? Ah, the joys of a mechanical watch: one of the winding wheels had been broken when we acquired the Gallet, but it was a relatively simple matter for our old school watchmaker to magic us up a replacement wheel. Tick, tock, tick, tock. We know our watches won’t tell us where we are and with whom we’re to meet when. But they are what they are, travellers from simpler times. And so it is that we find our minds turning to earlier – no doubt more discreet – revolutions in horology. Wearing a watch on your wrist seems so obvious to us now, but early watches were mostly carried, warm and safe, in a gentleman’s pocket. But the arrival of World War 1 took watches out of gentlemen’s pockets and into leather cases called wristlets, which were then strapped onto a man’s wrist. A small detail, maybe, but evidence of a social revolution: gentlemen were now actively engaging in physical activities and needed their hands free to work. It didn’t take long before wristlets evolved into the watches we would recognise today as wristwatches. Inside watches, the revolution continued, too. Miniaturisation took hold, shrinking the movement. But the second hand was still firmly rooted at the bottom of the dial until Omega and others introduced the sweep second hand on the same centre as the hour and minute hand. Omega’s revolutionary idea was to create a series of watches with longer than usual second hands and a clear, easy-to-read outer chapter ring, which they targeted at the medical community and called the Medicus. The idea was to enable doctors to more easily read their patient’s pulses and still have one hand free. Omega list several models to which they attribute the name Medicus; for complete accuracy, though, it has to be said that there are independent historians who dispute this and maintain that there was only ever one, the CK 651. Our CK 651 has been lovingly restored, both mechanically and aesthetically. At some point, someone had seen fit to entirely remove the dial finish right down to bare metal. Like most serious collectors, we’re loath to refinish dials; it’s generally hard to get it right for one thing, so we try to avoid doing so. But we felt this was justified and so set out to research our own example. We wrote, emailed and called every dial refinishing company in the Western world asking if they could re-do it as close to original as possible. We finally found only one such craftsman–no one else could do it as exactly–and feel pleased by the result. 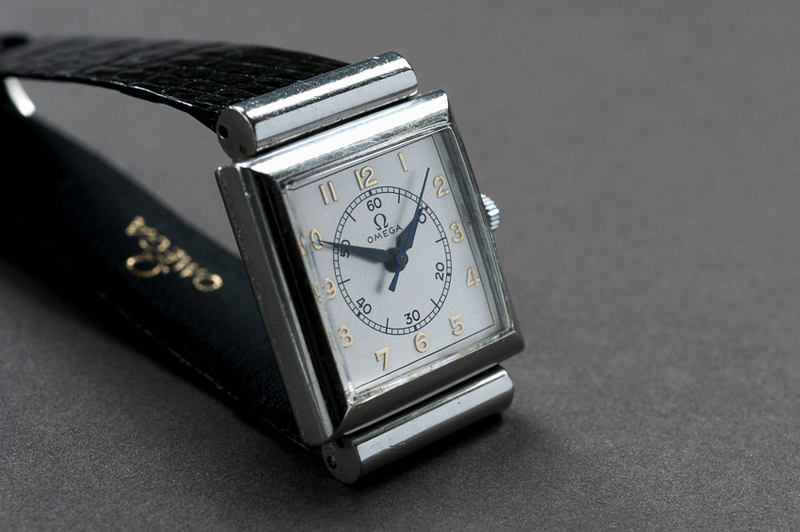 We’ve also taken the trouble to accredit our watch by way of obtaining an official extract from the Omega archive, which confirms that ours was made in February 1938 and sold to the United Kingdom. We're lucky enough to have two more Medicus watches to offer you, the CK 2175 and the model 605. We live to champion lesser-known vintage watch brands here at Time., brands that make great watches, but have somehow gotten overshadowed and overlooked. Companies such as Juvenia, still quietly making high quality watches for over 150 uninterrupted years. Formed by Jacques Didisheim-Goldschmidt in Saint-Imier, Switzerland in 1860, Juvenia relocated shortly afterwards in La Chaux-de-Fonds, one of Switzerland’s now-famous ‘watch towns.’ His son, Bernard, succeeded him and consolidated the two Juvenia workshops into a single one, based in La Chaux-de-Fonds. There he set to work creating products of the highest quality and precision and of exceptional creativity, filing numerous patents, such as his patent in 1914 for the smallest movement constructed on a single level. Juvenia became known for their extraordinary, avant-garde case designs, unusual time indications and architectural inspiration. Models such as the much imitated Mystère in 1940, an early mystery dial watch. The later Excentrique, with its curved star shaped case housing a quartz movement. 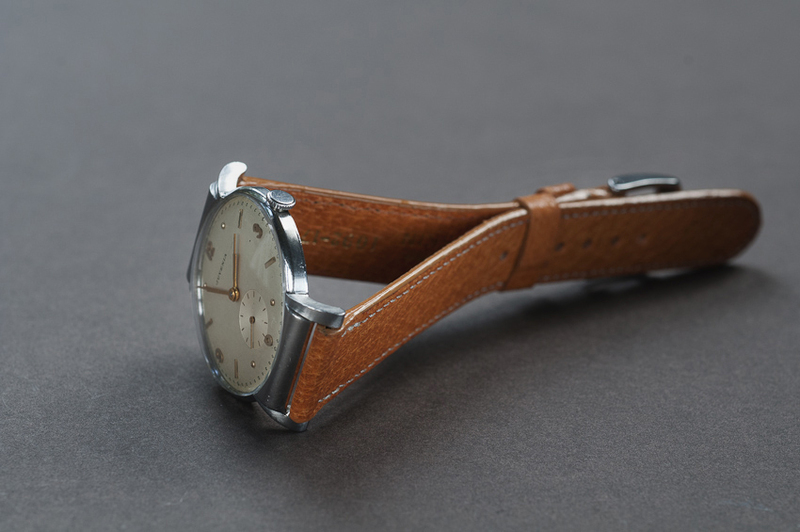 The Arithmo from 1945, which was available as a pocket-watch wristwatch or desk clock, and was the world’s first 'practical calculator watch' with its cutting edge built in slide rule. Or the 1950s Trigone, with its large triangular hands. We’re happy to have several stunning Juvenia models to share with you. Our 1960s Slimatic with its automatic calibre 1015 movement is in stunning NOS condition with NOS Kreisler Milanese style brand - complete with monthly calendar page holder. For more traditional tastes, a few beautifully classic manual wind 15J and 17J 1950s watches. If you find their architecturally influenced case designs appealing, then take a look at our stunning 1960s Mirror Dial or Asymmetric models. In 1988, Juvenia was acquired by Hong Kong based Asia Commercial Holdings Ltd., and continue to make innovative designs such as the Sextant, with its unique time display, a new version of the classic Slimatic as well as other fine grade watches–just as they always have.